Welcome to the latest edition of the White Ribbon Newsletter. In this issue we celebrate John McGrath’s becoming a White Ribbon Ambassador, and introduce a new event for the 2014 campaign, ‘Walk a Mile in her Shoes’. The campaign has had new designs created for White Ribbon 2014 t-shirts, and is looking to create designs for a White Ribbon colouring in competition. We let you know about the recently created ‘Ignite Candles’ that are further raising awareness in secondary schools with their soy scented candles which support White Ribbon. The White Ribbon shop will be opening as soon as the t-shirt design is chosen (with deliveries in October and early November). This is where you go for all your orders of resources and merchandise. Prices are similar to last year. And you'll be excited to know, organisation for The White Ribbon Ride is well underway. 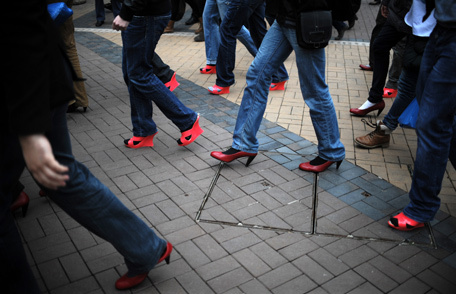 This year sees the roll out of the global event Walk a Mile In Her Shoes®. The White Ribbon Committee wanted to create a fun event that is easy to organise and also enables communities to highlight the violence in our society and asks men to think about what it must be like for women to experience and live in a world where violence is directed at them. At the same time the event allows supporters to sponsor each ‘walker’ so that we can raise much needed funds for the White Ribbon Campaign. 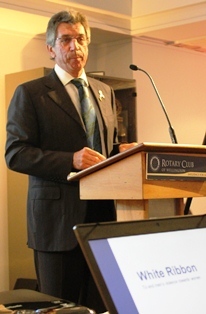 The reality is that without ongoing funding, the White Ribbon Campaign will cease. This event provides a unique opportunity for the walkers, guest speakers and organisers to speak about the issue of men’s violence towards women. John McGrath, brother to Patricia McGrath who was killed early in 2013 by her partner, has been campaigning around the Northland region. In July, John became a White Ribbon Ambassador in order to “plant the seed in [boys’] heads now” so that they can stop the damage of family violence before it begins. Patricia’s death affirms that male violence against women can be fatal and has a detrimental impact on many lives. Patricia’s family reached out to White Ribbon to help support our anti-violence message, to share Patricia’s story with others and to create awareness about violence against women. Click to read more. This year we need your help. We’ve had designs made for new chari-tee-shirts that will be sold to raise awareness about White Ribbon and to promote what the campaign is all about. We encourage you to let us know which design you would like White Ribbon to use. Click here to view and let us know your choice. 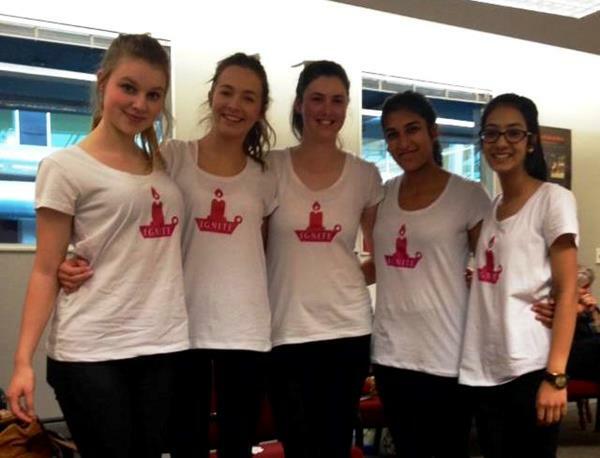 A creative group of students have taken a step towards ending violence towards women with scented soy candles. Based in Christchurch, Ignite Scented Candles aims to create eco-friendly candles helping to raise awareness and funds for The White Ribbon Foundation. Ignite produce three different scented candles. They are Midnight Chai (chai latte), Tropical Sunrise (mango and papaya) and Midday Lemonade (lemongrass and ginger). Every candle sold will donate 10c to the White Ribbon Foundation. If you are interested in purchasing a candle or want to learn more, click here. This year White Ribbon would like to have a colouring in sheet available for children. We are looking for a children friendly design our youth across the country. If you have any designs or could create a design, we’d love to be able to provide this to organisers throughout the country so kids can become involved in the campaign. Click here to send designs. For the 2013 New Zealander of the Year Awards incredible New Zealanders were recognised for their outstanding achievements. For the 2014 awards White Ribbon is encouraging people to recognise the work in their community of White Ribbon Ambassadors and volunteers. By nominating a White Ribbon supporter, you are promoting the work of the individuals and White Ribbon in the community and recognising all of their hard work. You can visit their website here. Be the change at the National Hui for men working to end violence. 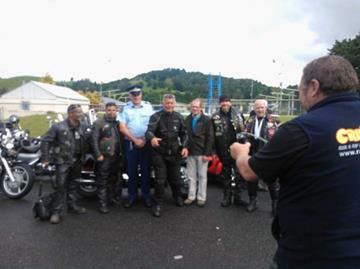 Calling all men for a Violence-Free Aotearoa/NZ from the 12 – 14 September 2014 – Taheke Marae Rotorua. 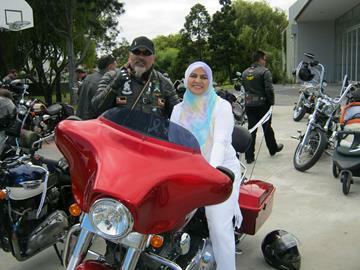 Organisation for the 2014 White Ribbon Ride is underway and is shaping up to be as inspiring as last years. With three separate rides, two in the North Island and one in the South Island, the White Ribbon anti-violence message will be spread far and wide. Coming up in November, the ride is our nation’s most exciting way of tackling New Zealand’s domestic abuse. With positive messages being spread from the mouths of previously violent men, the Ride is a powerful event. By spreading hope for a violence-free country, The Ride inspires thousands of New Zealanders to act and speak out about the issue of domestic violence. A lead group of riders steer convoys through towns in the North and South Islands, picking up support riders in every region along the way. In many regions local riders will lead the White Ribbon Ride into their town. 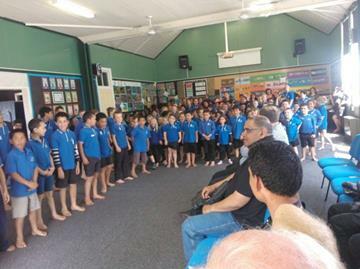 If you would like to support the kaupapa by leading the riders in your local region please contact us. Events, ranging from school visits, marches and breakfasts, to fashion parades, quiz nights and Dads and Lads days, are organised in every town. Every event is an opportunity to bring this issue into the open and get people talking. If you would like to learn more about the route, joining the riders or events happening in your area go to http://whiteribbon.org.nz/act/white-ribbon-ride/ and download the itineraries.